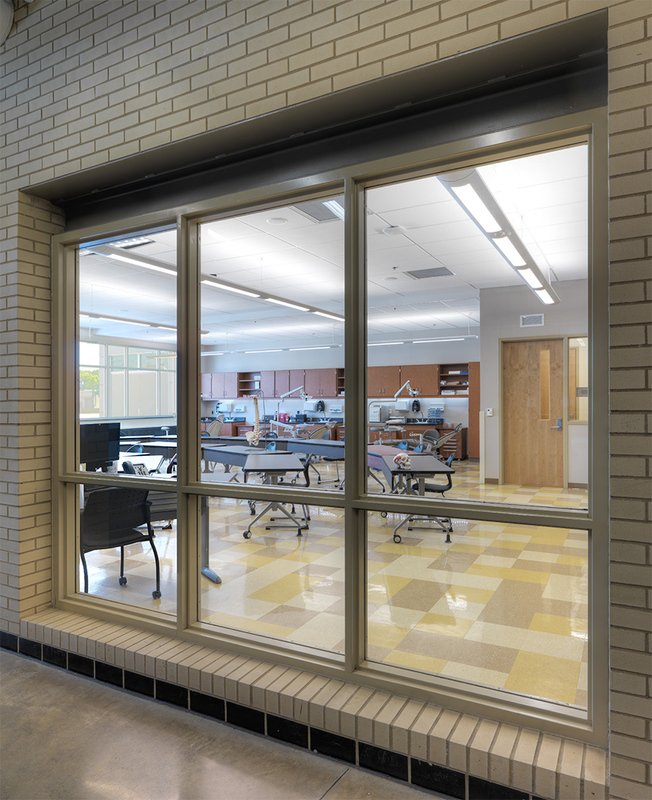 The Van Dyke Schools Career and Technical Education Center project is part of a $62.5 Million school bond initiative that PARTNERS led from the initial stages of identifying the overall district needs through project implementation. 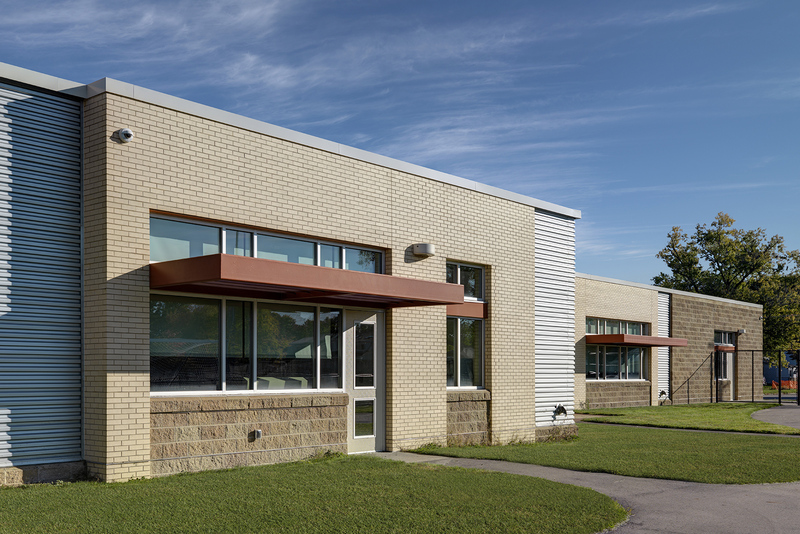 The need for this facility came about when a large portion of the existing high school building was planned to be torn down to allow for a new main entrance and new main gymnasium to be constructed. 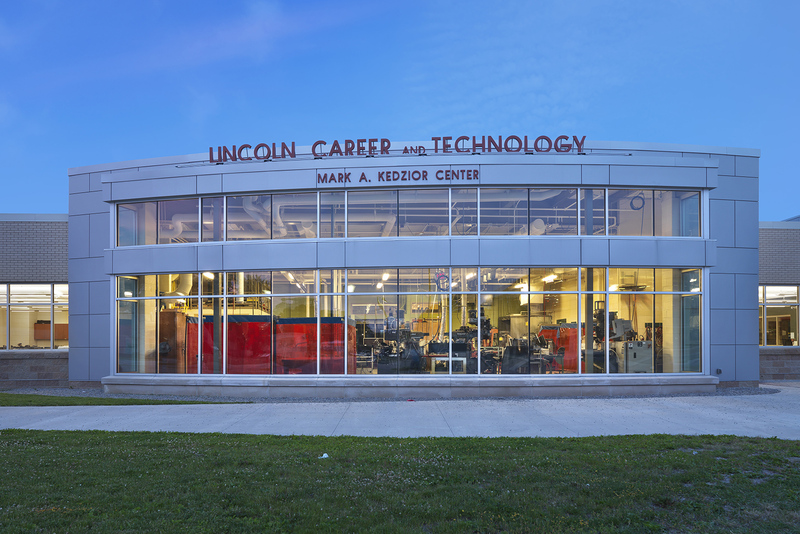 The previous facility which housed the career and technical programs was inefficient, aging and lacked a real sense of place. 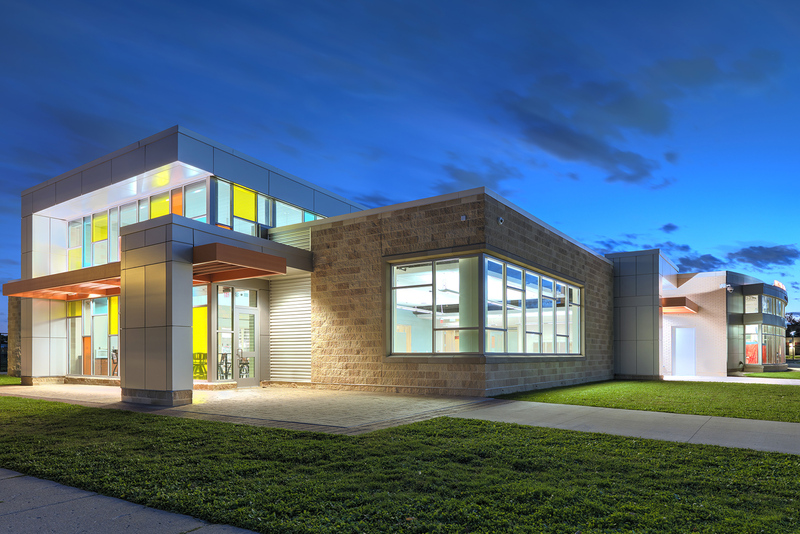 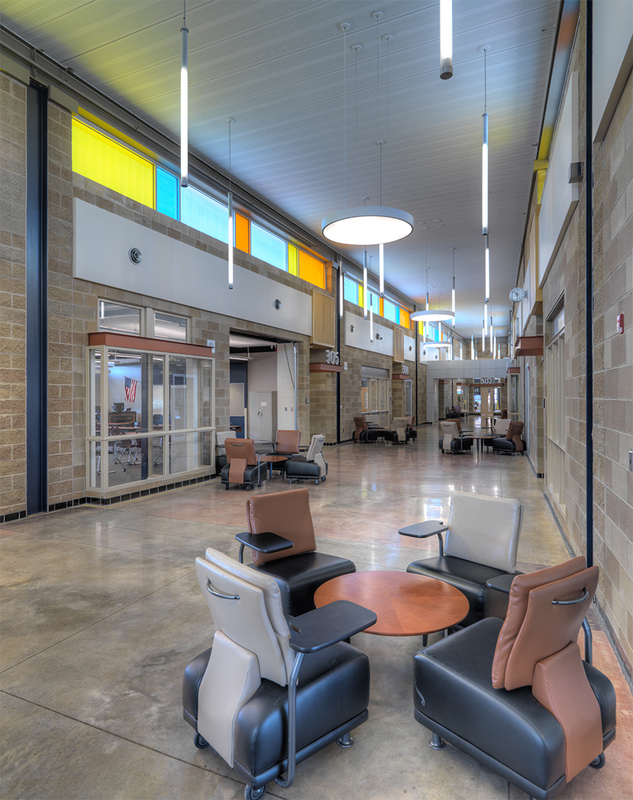 The new facility provides 27,000sf of exciting and flexible educational space. 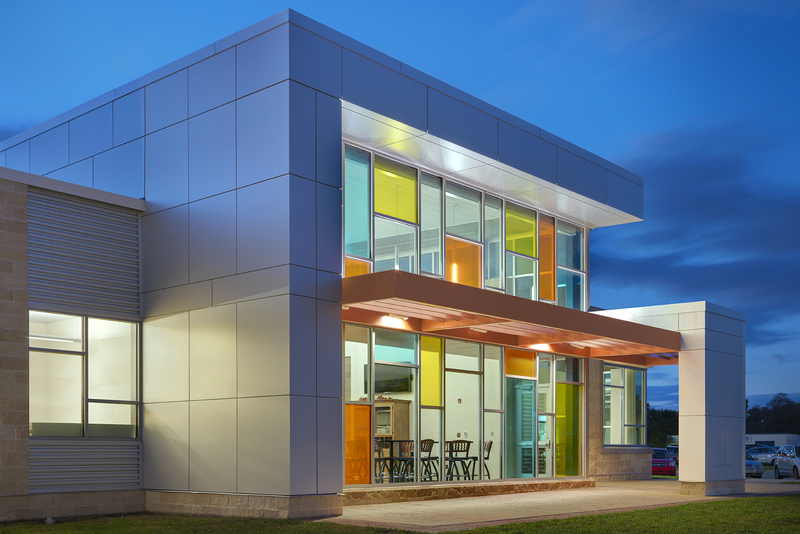 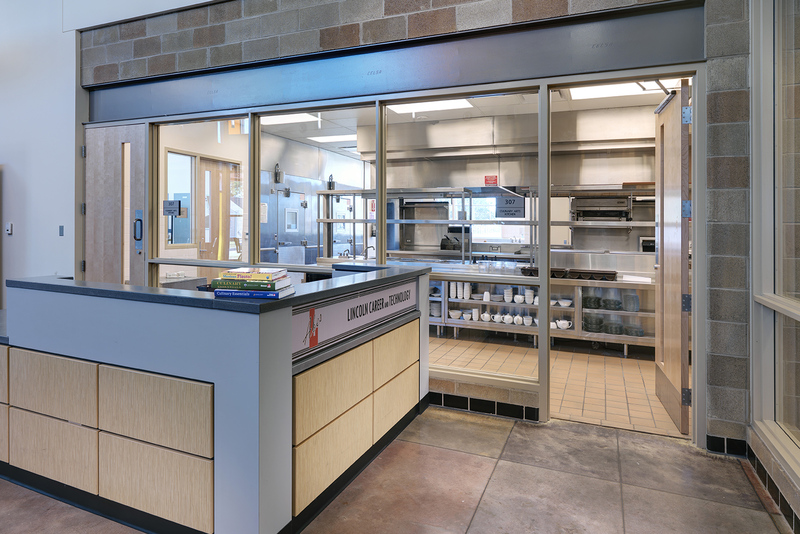 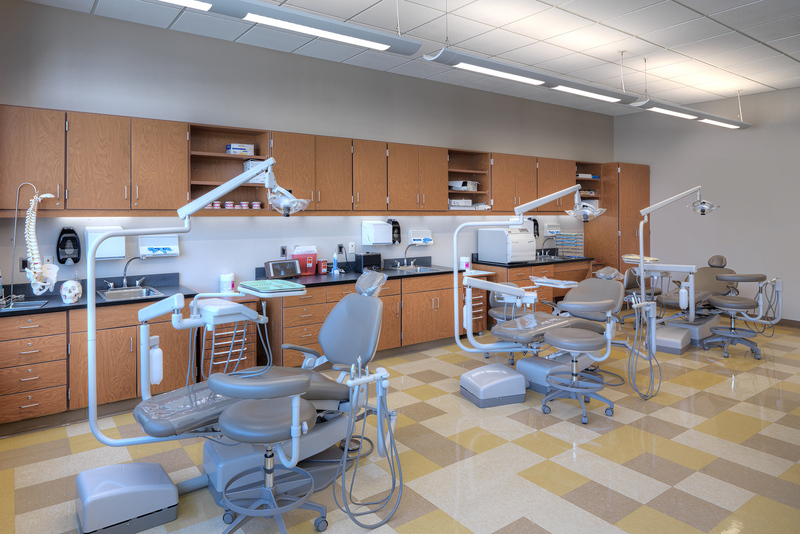 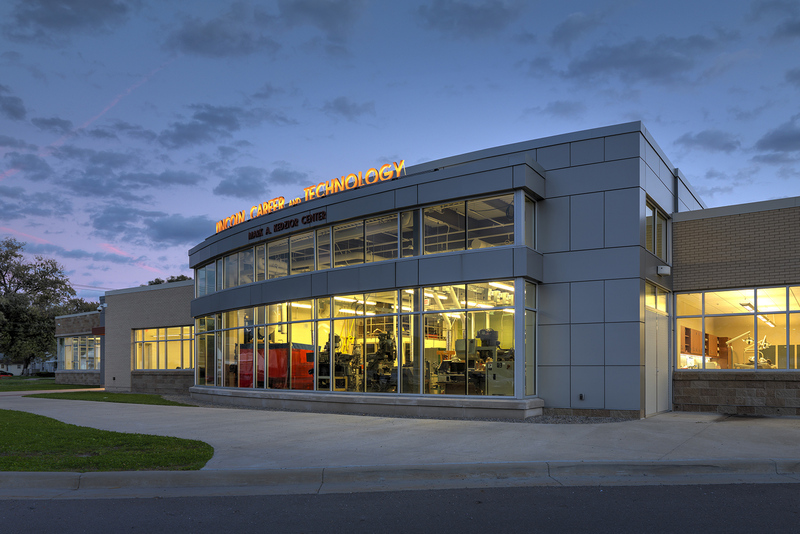 The Career and Technical Education Center houses several programs geared toward career development, including dental assisting, culinary arts, automotive technology, CAD, 3D modeling, advanced manufacturing and welding. 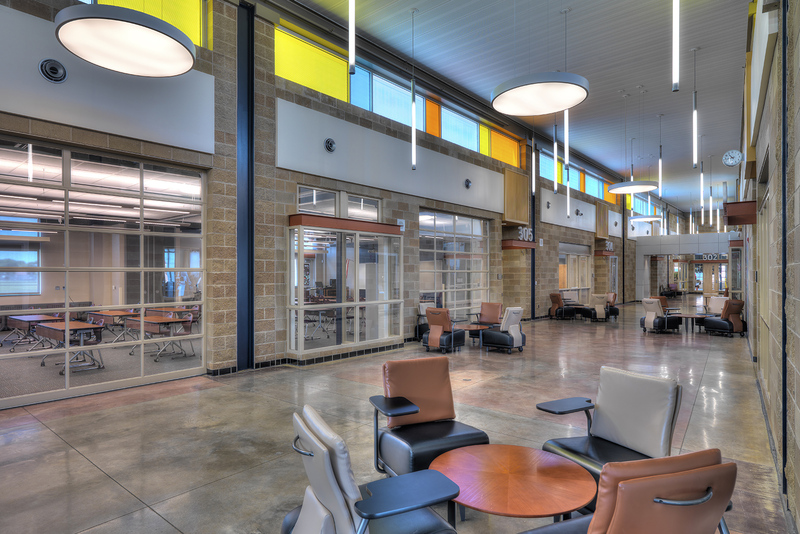 The fresh and new facility takes full advantage of natural lighting and utilizes a highly energy efficient displacement ventilation system in conjunction with a series of chilled beams to provide heating and cooling throughout the facility. 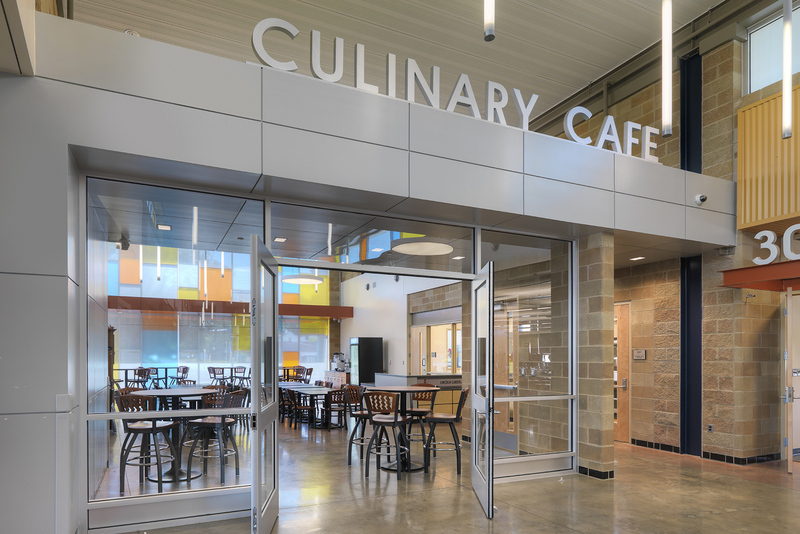 The project outcome conveys a professional atmosphere which can be interpreted as more sophisticated than a typical high school; it is a sustainable building which harvests natural daylighting, has an amazingly efficient mechanical system, has low-maintenance interior and exterior materials and is as designed to be flexible for years to come. 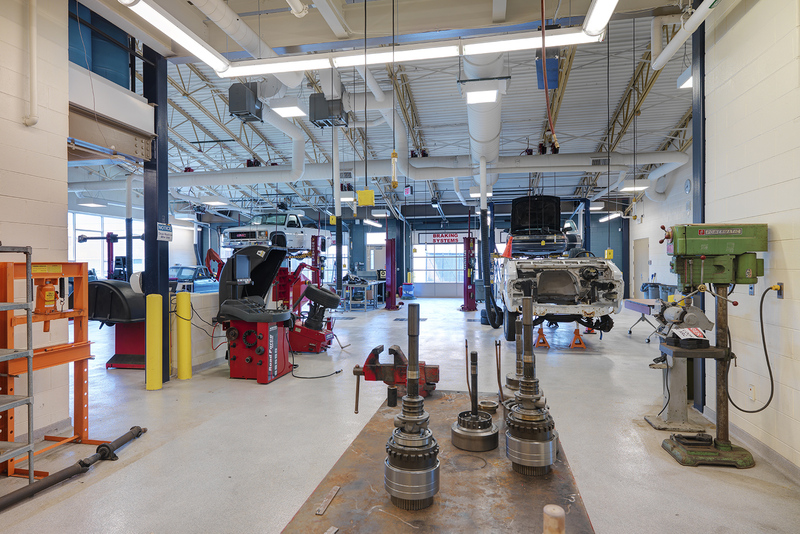 The school district and community benefit from this facility as it truly conveys the district’s commitment to their strong career and technical programs, as well as to those students needing an alternative career pathway in lieu of college. 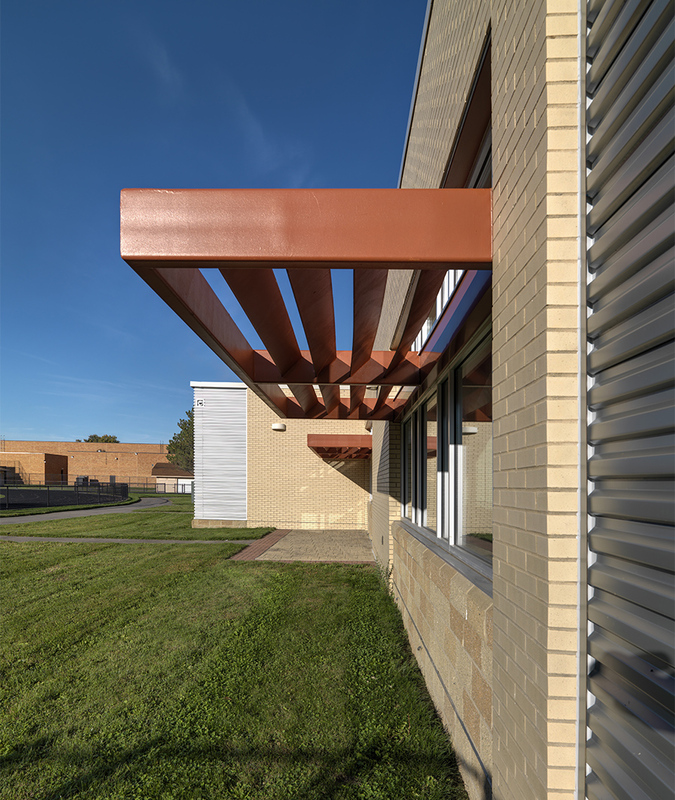 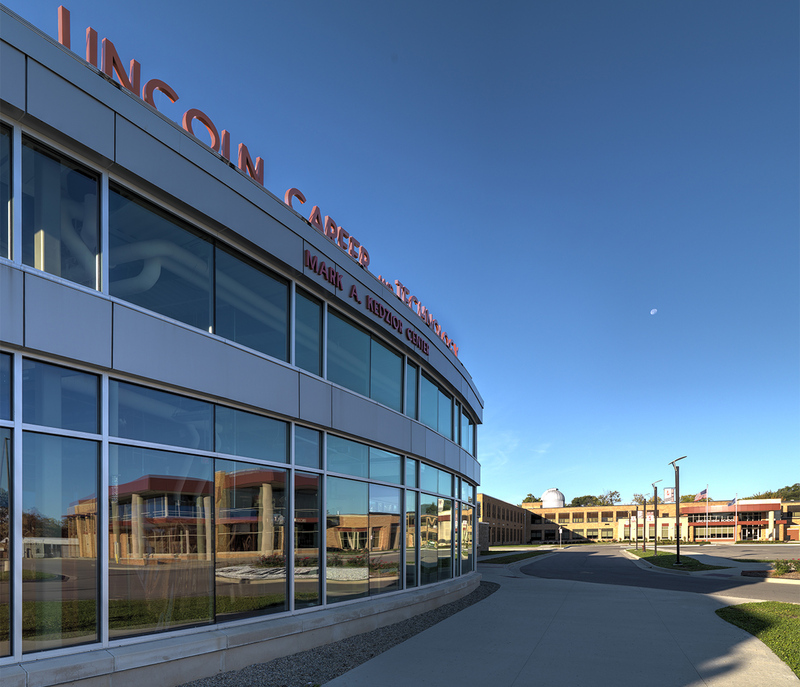 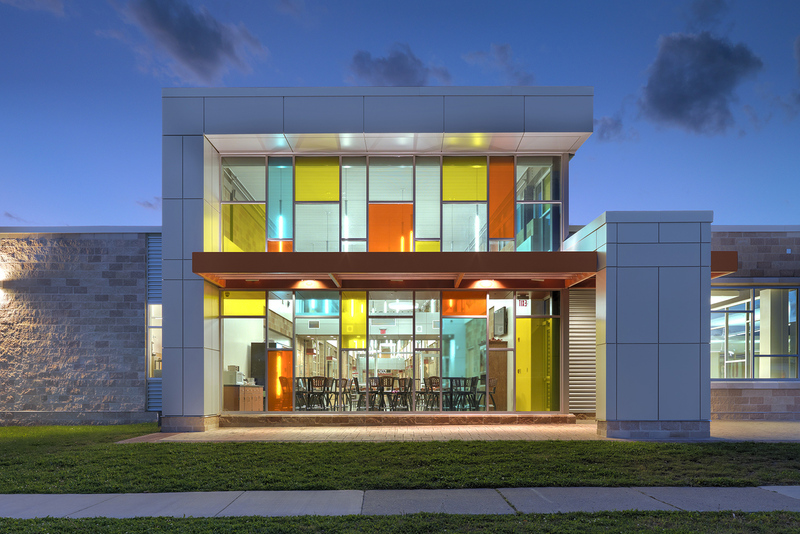 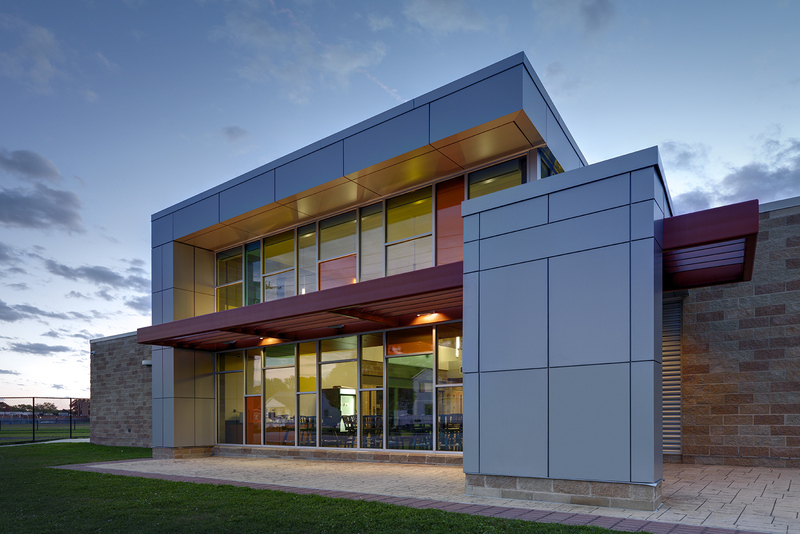 This project was part of the last phase of the Lincoln High School campus transformation. 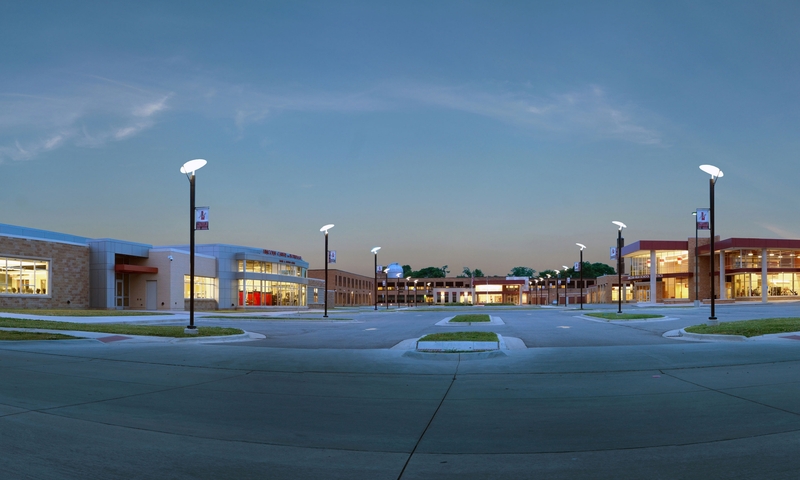 This building re-defines the gateway into the high school campus and will most definitely inspire students for years to come.